When it comes to luxury brands, a lot of folks will assert that Bugatti and Giorgio Armani are at the pinnacles of their respective fields. Consequently, there wasn’t much in the way of gymnastics needed for the two firms to get together to create a line of ultra-high end clothing and accessories. The collection consists of large items like sweaters, jackets, jeans and bags, and smaller ones like shoes, belts, wallets, and iPad cases. Available colors for many of the items include cognac (i.e. 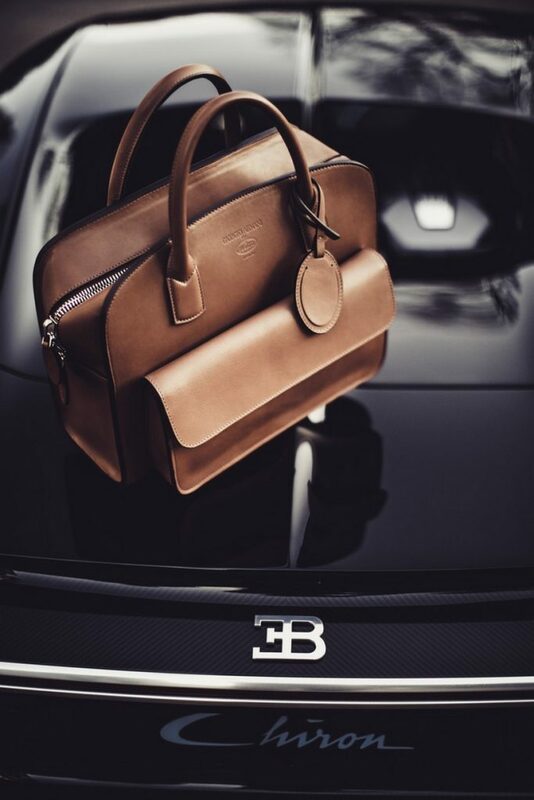 brown), army green and blue, and all incorporate the Bugatti “horseshoe” grille motif and other design cues, and all are, of course, made from the highest quality calfskin, crocodile leather and cashmere. None of these goods will be particularly cheap, but they will be a tiny fraction of the price of a new Chiron. And the fact that they’re made by Giorgio Armani will make non-car-geeks take notice, too.